The Com-Server offers everything required for the direct connection of serial interfaces to the computer network. All protocols are included (see box / applications at the end of the product data sheets). 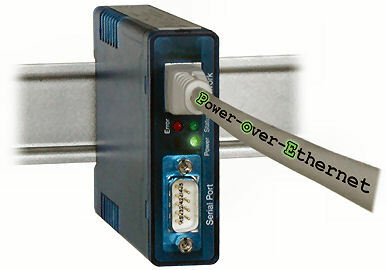 The serial interfaces can switched between the standards RS232, RS422 and RS485. The serial and the network parameters are set via Telnet, ARP/RARP, SNMP or also via an Internet browser and web-based management.